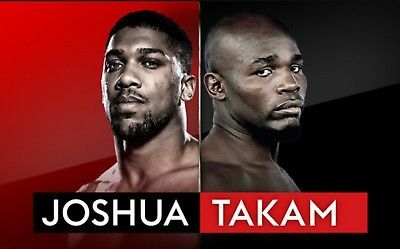 Nigerian born boxer, Anthony Joshua fight Cameroonian born French Boxer Carlos Takam tomorrow night in Cardiff after the mandatory Challenger - Kubrat Pulev pulled out after sustaining a shoulder injury. The fight is a title bout, meaning Joshua's IBF and WBO belts are on the line. 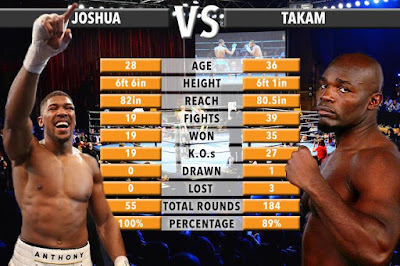 With Kubrat pulling out just a mere two weeks before the fight, he was replaced with Takam who was the next in line, forcing Joshua to change his preparation to accommodate the style of Takam. Christian Cherchei - Takam's promoter has insisted that the pressure is on Joshua, telling reporters: "late notice means less pressure..."
Joshua said he enters every fight as if he was the challenger, and this one would not be any different. The Principality Stadium, Cardiff, Wales. At 28 years, Joshua has an invincible record having won all his previous 19 fights through knockouts. 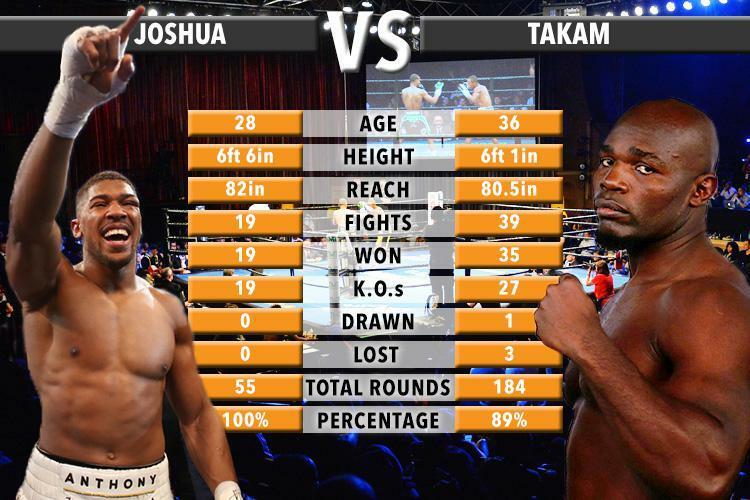 Takam, at 36 years, has fought 39 times, won 35 of them; 27 through knockouts and has drawn 1, and lost thrice.